Unraveled is an absorbing read. It mixes the life story of the principal character, Frida, and the mechanisms she uses to survive abandonment by her father, her shaky teenage years with an alcoholic mother, her removal to London seeking a new life that does not materialize, and her chance encounter with a British diplomat, Damien, whom she subsequently marries. 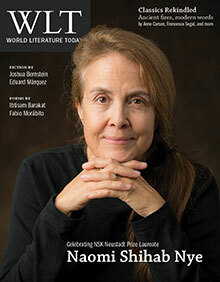 The description of the soul-destroying decade Frida lives as Damien’s wife is detailed in simple language. Within the stifling world of embassy parties and the restrictive ambassadorial society in which she must watch her “p’s and q’s,” she plays a secondary role in her husband’s life and career, to the detriment of her own existence. The novel ends when Frida, spending some time in her grandparents’ house in the country, meets her soul mate, an event that finally allows her to become aware of the needs she must fulfill in order to retain her own sanity and physical health. Upon her return to Reykjavík, Frida discovers Damien’s long-hidden truths and is able to begin the process of terminating her marriage and moving forward toward her own destiny. Yet this novel is not just the story of a woman, her marriage, her adultery, and her eventual divorce. It is rather a detailed analysis of how Frida’s world collides with that of her foreign husband at both a personal level, as she comes to term with her unfulfilled desire, and at a more nationalist level, as she realizes that she is first of all a dóttir (daughter) of Iceland. At the same time, on the national level the reader sees the economic dénouement Iceland suffered during the early 2000s, a period of scandal and political upheaval. Hence, the reader is privy to the double meltdown: on the one hand, Frida’s psychological and matrimonial fractures and, on the other hand, the shocking realization in Iceland of the social, economic, and political inequalities endemic to the country. As Frida battles to make sense of her life, Iceland battles to overcome the unequal status quo of a society held captive in an age-old paradigm of serf versus feudal lord. The two events mirror each other—both Frida and her country are stuck in a time warp from which they desire to escape. Alda Sigmundsdóttir captures the nuances of Icelandic society well. She describes the country in all its beauty with obvious affinity, and she depicts the similarities and disparities of two European nations: Iceland and England. She also manages to shed light upon the intrinsic debilities of both societies: the underlying negativity and hypocrisy of Icelandic small-mindedness and the pervasive hypocrisy of English aristocrats and diplomatic personnel whose moral weaknesses, sexual deviation, and illegitimacy continue to be disguised, ignored, or purposefully hidden from public view. 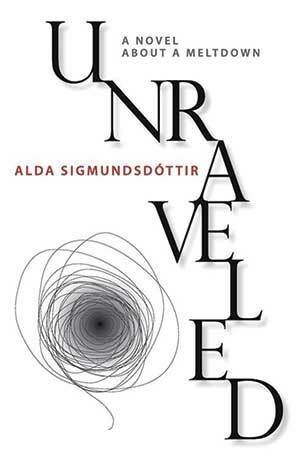 As a first novel, Sigmundsdóttir’s Unraveled is an inspiring debut well worth reading. Alonso Cueto. Frank Wynne, tr.